The needs and preferences of new age online shoppers have a positive impact on the warehouse market. There is no doubt that we live in an age of e-commerce when short-term warehousing is one of the most popularly demanded services. 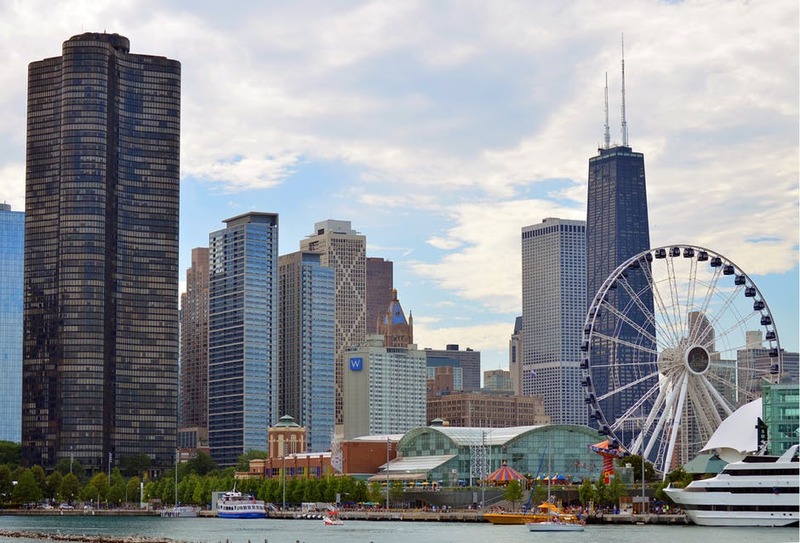 These new developments have had an impact on the warehouse market in the Midwest – Chicago included. The vacancy rate in the Chicago warehousing market peaked at more than 12% 8 years ago. Today, it stands at a stable 7%, making the warehouse market very attractive to customers. Let’s see why you should consider a warehouse in the Midwest. Modern customers expect to see products they’ve purchased online arriving the next day to their doorsteps. This is exactly what makes retailers and logistics firms look for centralized warehousing solutions, and not only that, but also the local warehouses that are as close to Chicago as possible. By storing all these items in one nearby warehouse, retailers and logistics can keep their customers happy, and deliver goods on time. If you ask retailers and logistics firms – what is the most vital internal process for your success? The answer would probably be – efficient inventory management. This does not only imply the use of good inventory management software and pristine inventory management practices but the storage facility itself as well. When all of your goods are stored in one location, it becomes significantly easier to excel in inventory management. You will have a real-time insight into the how much storage room you have left, which items have to be restocked, and you will be able to arrange the items to improve loading efficiency. Distribution management is another process that comes right behind inventory management in terms of importance. With all your inventory in a centralized location, online retailers can easily manage the distribution of their goods. Another aspect of keeping customers happy and interested in purchasing your products is an attractive pricing strategy. Due to the changes in the Chicago warehousing market, the prices have stabilized and the vacancy rate is well below 10%. This means that online retailers can continue making profits without having to worry about investing heavily into warehousing services. On top of that, with short-term warehousing services at their disposal, retailers focused on penetrating the midwestern market can do so without having to commit to renting warehouses they are not sure will pay off. From an ROI standpoint, this is a great benefit for online storefronts. At last, we come to the most attractive topic – profits. The retailers who have their goods stored in multiple locations have to take into account the costs associated with shipments going to multiple locations. This has two outcomes. They have to cut down their profit margin or increase the price to maintain the same profit margin. In any case, this is not good. Keeping goods in a centralized location significantly lowers inbound distribution costs allowing retailers to benefit from higher profit margins, even with a competitive pricing strategy. For more information on costs and benefits of Chicago warehousing, contact JRC Dedicated Services.